Concrete Coatings Acrylic Sealers Archives - Concrete Coatings, Inc.
SlipGrip™ is a micronized powder designed to provide slip resistant properties to solvent-based acrylic sealers, specifically SuperSeal™ 2000, 400, 350, 100, GemKote™ 400, 350, and 100 and PS-18™ 600, 400 and 100. Add 1 lb. container to a five-gallon bucket of sealer of your choosing or measure and weigh off 3 oz. per gallon for added traction on any floor. SlipGrip is often applied to an initial sealer coat. However, if additional traction is desired, SlipGrip may be added to additional coats. Remember to mix sealer frequently during application to maintain a consistent coating with the additive. Refer to the TDS for complete mixing and application instructions. 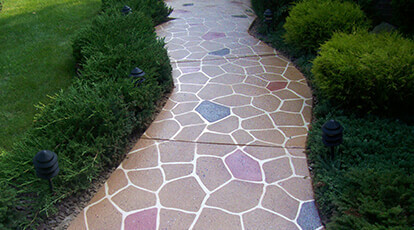 Concrete Coatings, Inc. SuperSeal™ 20WB is a water-based acrylic sealer for general everyday use. This product may be used when a solvent-based sealer cannot due to safety or flammability concerns. It may be applied to almost any surface: concrete, tile, cementitious overlays and much more. Concrete Coatings, Inc. GemKote™ uses the same resin as SuperSeal™ 2000 with a VOC content less than 400 g/l, 350 g/l or 100 g/l for local regulations requiring a lower VOC. GemKote™ is an aromatic acrylic sealer that can be applied to almost any surface: concrete, tile, cementitious overlays, natural stone and much more. Use GemKote™ for a gloss finish as well as for its UV and stain protection. 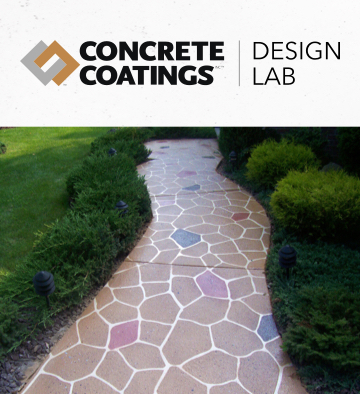 A non-yellowing acrylic solvent-based sealer that aids the curing process of freshly-placed concrete. Traditional curing and sealing agents are usually meant as a sacrificial coat and are often required to be removed before applying a finish sealer. PS-18™ contains the same resin as SuperSeal™ and GemKote™, thereby allowing complete compatibility with these sealers. (Available with a VOC content less than 100 g/l upon request.) Use PS-18™ for a gloss finish as well as for its UV and stain protection.